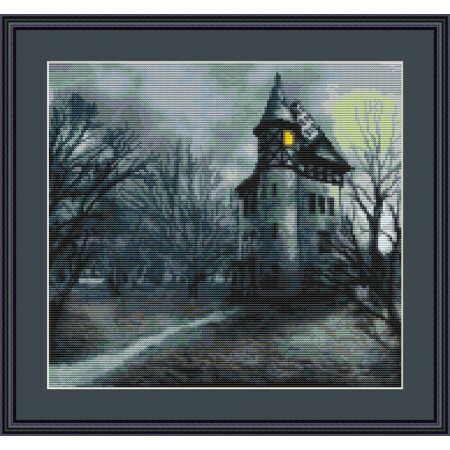 Cross stitch kit of a creepy house, no one's there, but the light is on, the moon turned green. Its haunted! 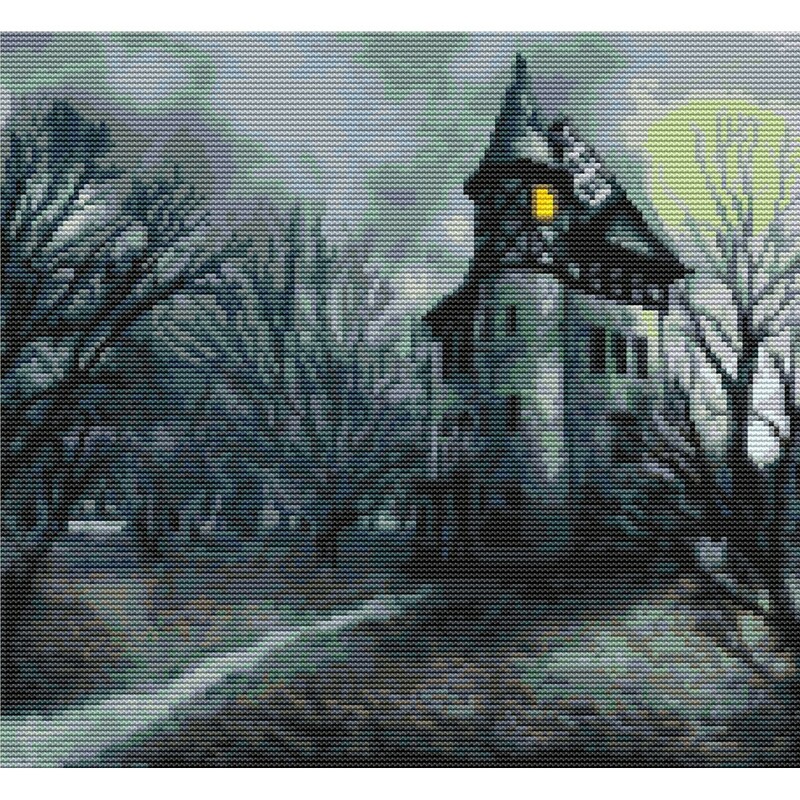 152 x 140 stitches and stitched with 32 colors DMC floss. Made on 14 ct Iceblue aida by Zweigart. Great Halloween kit!